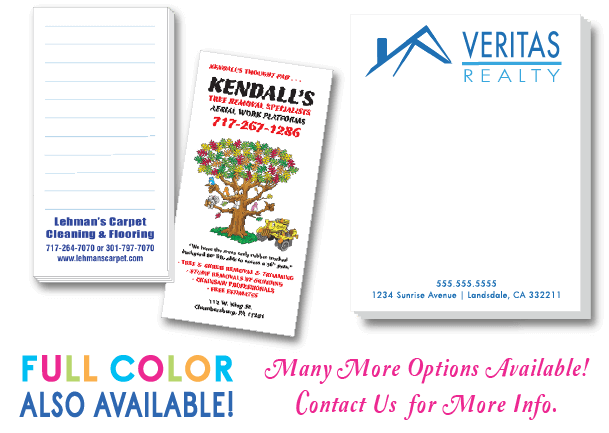 Custom note pads are an economical yet very powerful marketing and branding tool, particularly when you add your own logo, photo, image and text. They are your perfect business spokesman for giveaways, trade shows, conferences, corporate events, company advertising, or to simply use in the office every day. Notepads come in a variety of sizes.